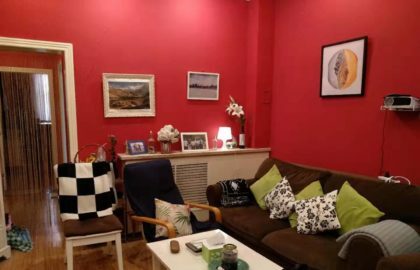 When searching for a place to live, people consider what needs they have that should be met. This is especially true when moving out of country. I’m sure if you’re considering moving to China, you are looking at air quality, language boundaries, location to public transportation, and maybe you are even concerned about the food. For me, I always had problems with food. 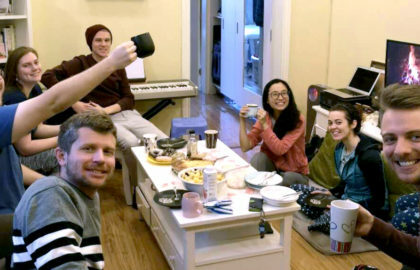 I can’t count the number of times I visited a friend’s house in America, saw the big plate of meat in the middle of the kitchen table, and then had the awkward conversation of, “I’m vegetarian.” My family was very concerned that I would have nothing to eat in China. I wasn’t so sure myself but decided to make the leap anyways. 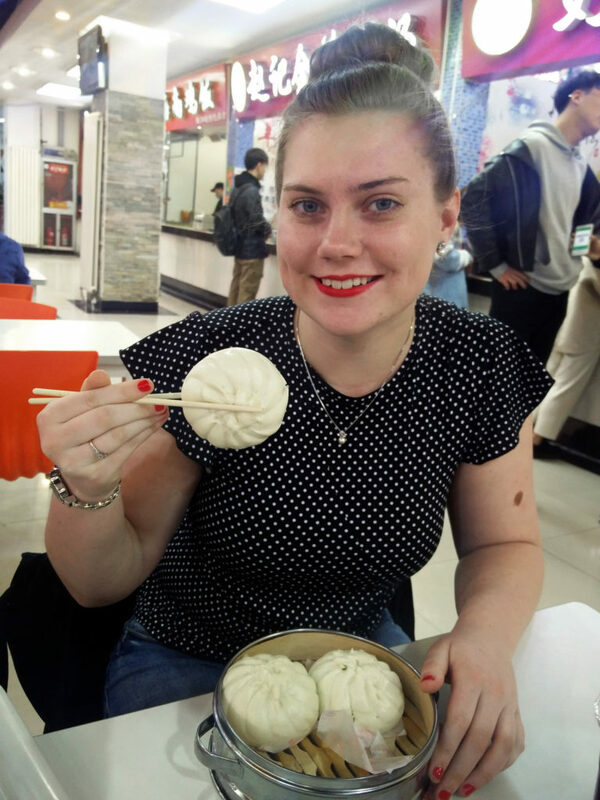 A common question I get is: how can I eat in China being a vegetarian? I have good news for all the picky eaters, people with food allergies, and people with specific dietary needs. 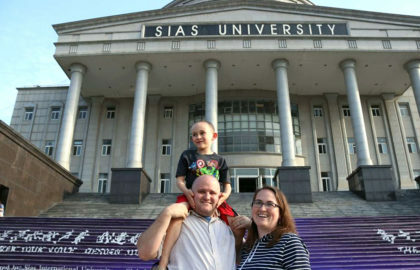 You can live in China! There is a wide variety of food here that I am still exploring after 6 months of residency. I am an extremely picky eater, mainly surviving off of macaroni and cheese back in the states. I rarely ate vegetables. I only liked certain fruits. I would eat mostly bread and dairy products. Bread and dairy products are not as popular in China as they are in America, so I did have to venture out of my comfort zone. What I discovered is I actually love vegetables and fruits now! The difference is how China cooks them. They aren’t soggy, tasteless lumps, instead they are bursting with spices and sauces. If there is a food you are completely against, I suggest giving it a chance here. Because Chinese food is prepared differently (Panda Express is not real Chinese cuisine), it might just surprise you how good it can taste! 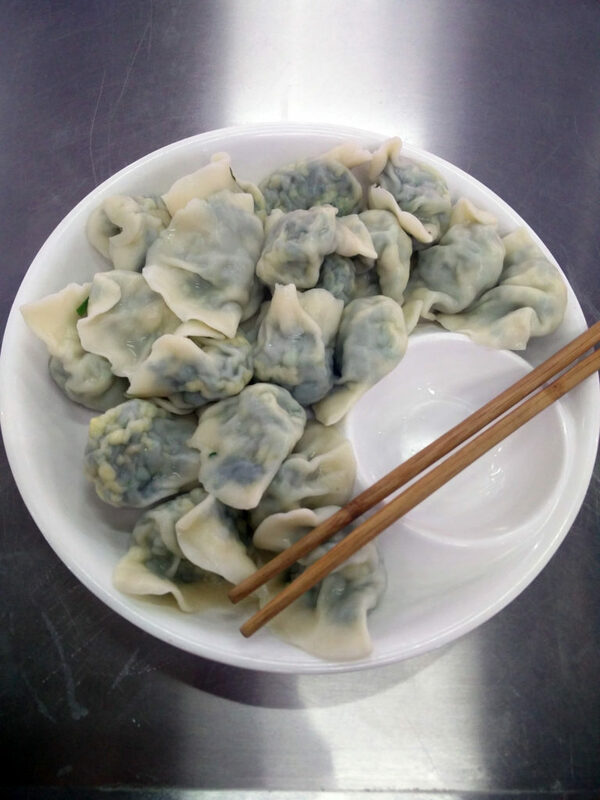 My favorite food is jiaozi (dumplings). 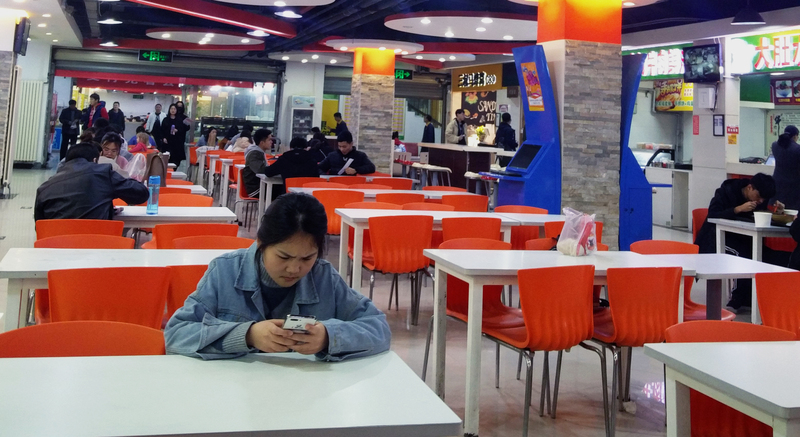 There are many cafeterias on Sias campus, each consisting of multiple floors and many different food booths. One cafeteria is home to the special jiaozi I get every Monday. It is handmade with spinach and egg. I see the same workers there each week, and they’ve even memorized my order. 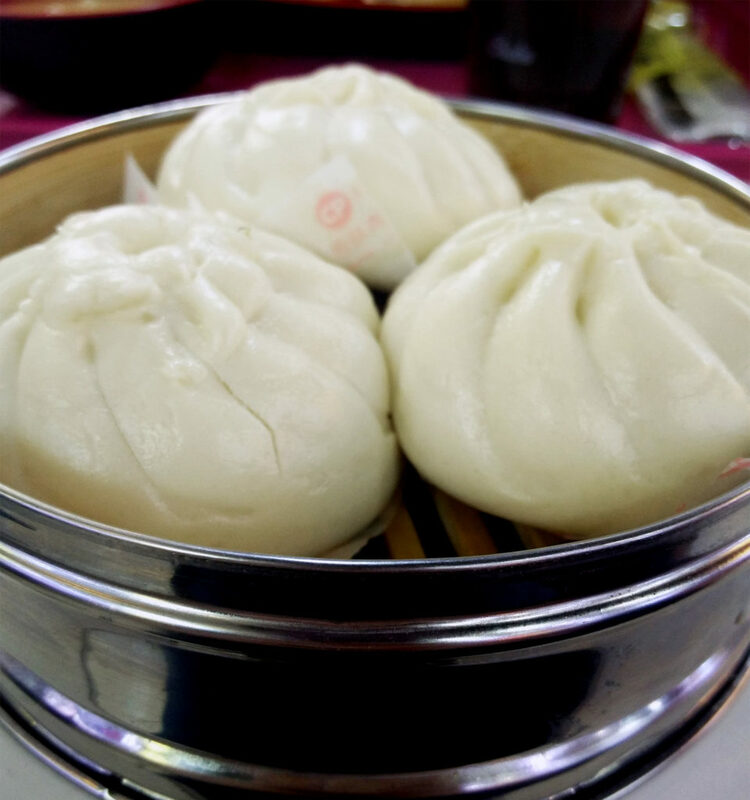 Another one of my favorite foods here is baozi (thick dumpling-like bread normally stuffed with pork). I found vendors that have baozi with tofu, so I can enjoy the same traditional Chinese foods as my coworkers. Living in China has given me a love for tofu that I never knew I had. It is very easy to substitute any meat dish with tofu. Tofu is popular in China; you can buy it at almost any restaurant or store. Other countries I visited, there was a strict rule that you had to eat everything on your plate as to not offend the hosts. 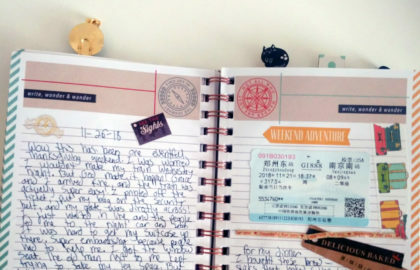 It was such a relief for me to learn that China isn’t that way! When I go out to eat with students or friends, I simply tell them that I don’t eat meat, and they always make sure I have enough vegetable or tofu dishes. 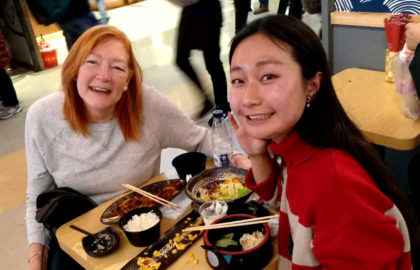 In my experience, the Chinese people are very understanding that foreigners have different taste palettes, so there is no need to stress about not wanting a specific food. A great dish to try if you are particular about your food is hot pot. Some hot pot places have a giant pot in the middle of a table for everyone to eat out of. There are some other hot pot places on campus that have individual pots and bowls though. For that hot pot, you can decide what broth, type of noodle, and extra toppings you want in your individual bowl. The toppings have a multitude of meats, vegetables, and breads. If food is something that stresses you out, don’t worry! There are plenty of options here that I’m sure you’ll love. After all, I have found great dishes that I love, and that really means a lot coming from America’s #1 picky eater. Some advice I have is to know the Chinese words for what you don’t want in your food. I know how to ask for “no meat” and “not spicy.” The cooks on campus and outside campus will understand what you want. As for the foreign faculty dining hall; it is easy to tell what is meat, vegetable, and what has dairy. Don’t let food stop you from exploring! Feel free to contact me if you have questions about food or want more food recommendations!